We worship at 9:15 every Sunday morning. We gather to experience God’s grace. We hear that grace as the stories of the Bible are interpreted in light of current events and applied to daily living. We taste grace in the bread and wine of Holy Communion. We touch grace in the gestures of welcome from the people gathered together. Our worship service is liturgical, and lasts about an hour to an hour and 15 minutes (Roman Catholic visitors find it very similar to the Mass). Hymn singing is accompanied by organ and piano. We also have a voice choir and instrumentalists. Children have a central place in worship. Although a nursery is available, children of all ages are encouraged to take part in the service. 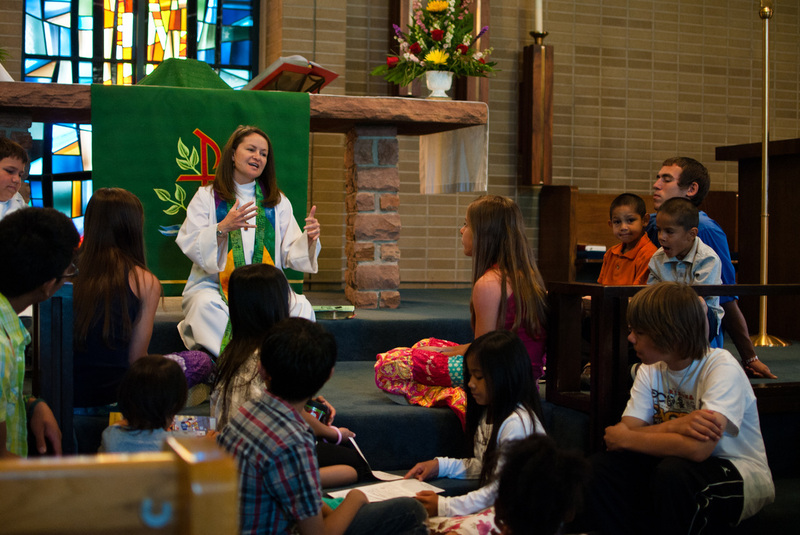 Pastor and Kinna invite children to reflect on the readings during the Children's Sermon, after which, the kids leave for some activity time called Children's Chapel and then return for the Passing of the Peace. Interim Pastor Bev leads worship, but you'll notice lots of lay people involved in making it happen. From the musicians to the assisting ministers to the acolytes to the lectors and communion assistants and ushers and greeters and altar guild folks, the "priesthood of all believers" is strongly encouraged. Beyond that, every person in the pews is an important participant in the act of worship, without which we would be incomplete. After worship, we catch up with each other over a cup of coffee. 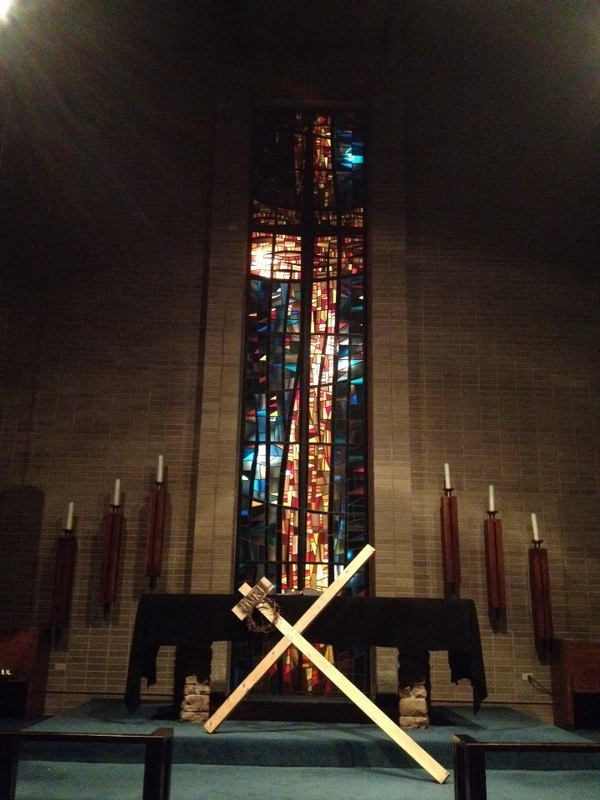 Faith Formation for adults follows worship in the fall, winter, and spring. 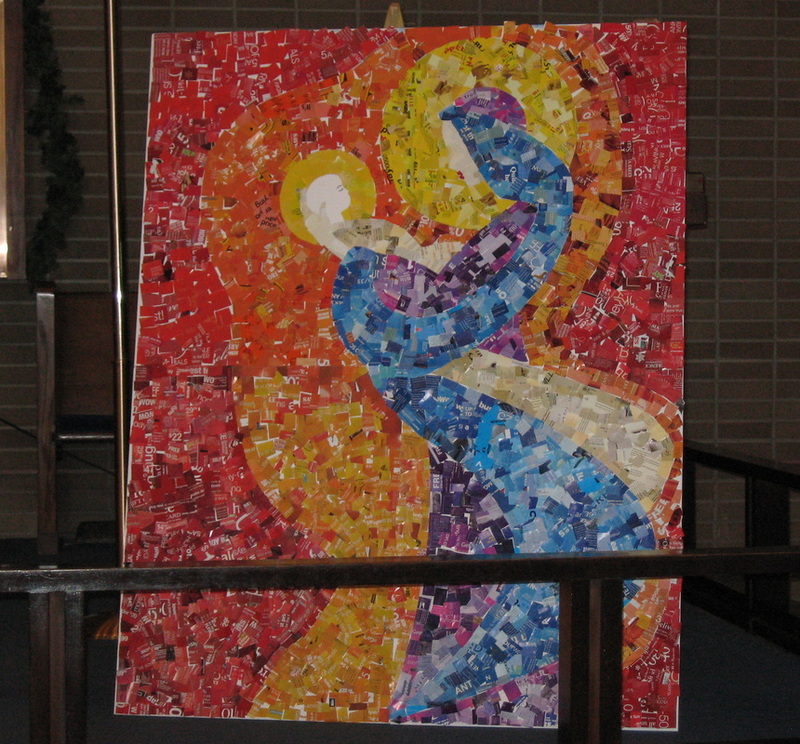 Advent Icon created entirely out of holiday circulars.